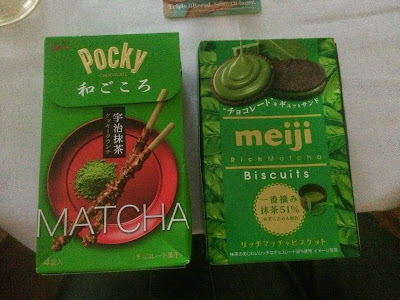 You may recognise this picture from a previous review where we talked about the meiji product. 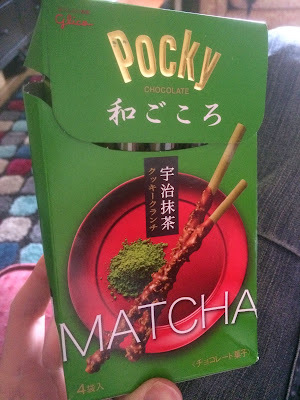 Today we move on to the Pocky! 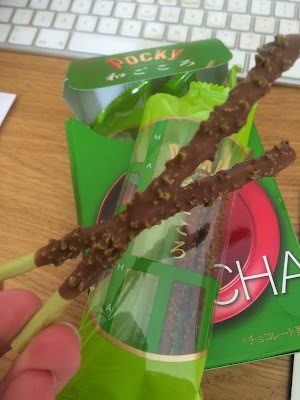 This is done using the deluxe Pocky method of sticking bits of the ingredient to the outside of the sticks and making the flavour much stronger. 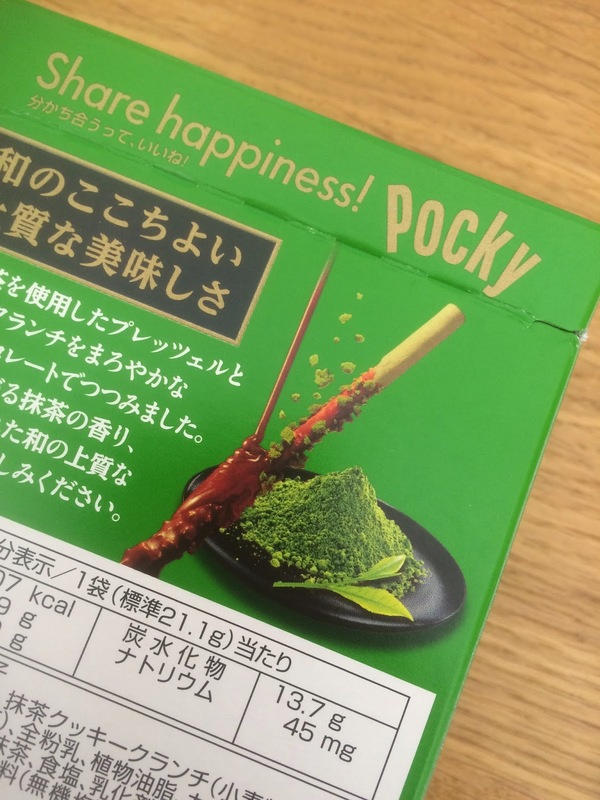 and in this case the sticks themselves are green too! Bonus! 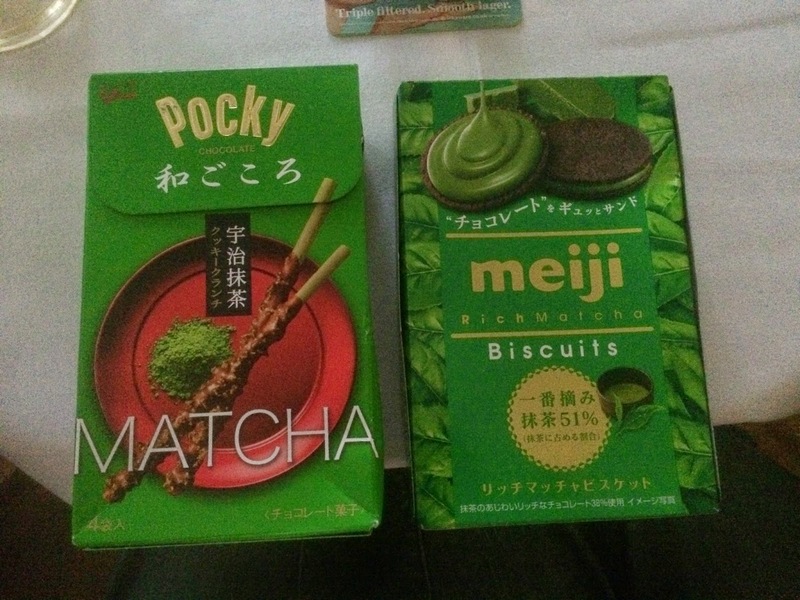 While the matcha taste is not as strong as in the Meiji biscuits it's still very noticeable and not just a regular green tea Pocky taste. 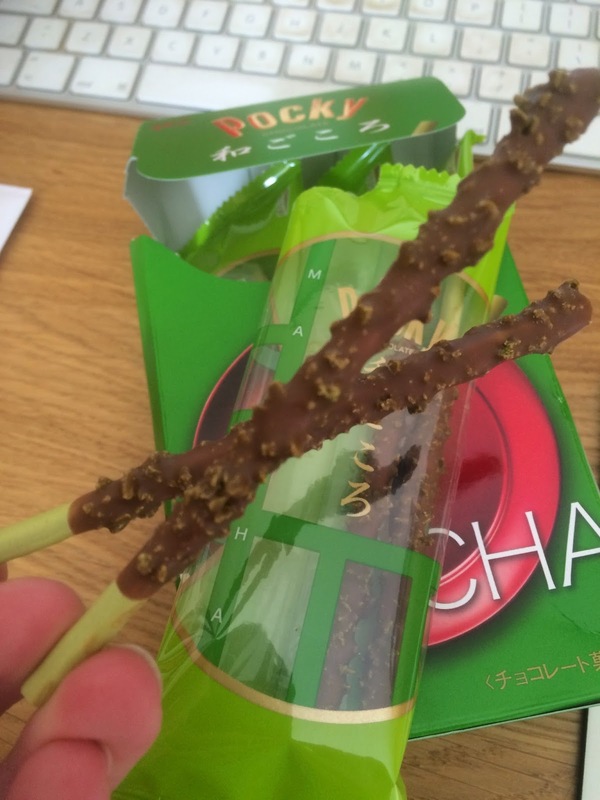 The inside bags contain 6 sticks, and there are 4 of these so it's a decent sized package. 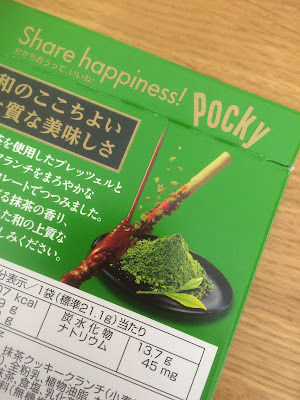 The texture and signature Pocky snap are both as you'd expect and while possibly not as morish as the regular flavours I did find myself finishing the first pack and thinking about the others. They went well with a cup of regular English tea too! More of a treat than a standard choice, but a nice present from Japan and something to savour.